Guba Dental puts great emphasis on providing a more natural, healing dental experience for all of our patients. We combine the most advanced, alternative wellness treatments and holistic practices with conventional dental procedures to ensure our care is both beneficial to your overall health and appropriate for your unique dental and physical makeup. To help accomplish this, Guba Dental remains a safe, mercury-free office that seeks permanent solutions for our patients, as well as long-lasting relationships! We work hard to educate you concerning the link between oral and overall health, and to help you see your mouth and body as one complete entity. More than just education and remedy for oral issues, we always strive to help you go beyond just the surface, find and eliminate the root causes of your affliction, and achieve true health and wellness. We care about you and want to showcase our compassion when treating you. We will work with all of your integrated specialists to coordinate your overall care, and provide you with an experience that promotes growth and improvement for your complete mind and body. Guba Dental meets and surpasses all Occupational Safety and Health Administration (OSHA) and Center for Disease Control (CDC) standards, and we make your – and your family’s - well-being our top priority. Guba Dental also proudly serves and supports the Crunchy Indy community! Dr. Caryn Guba has worked in the field of dentistry since 1981. Dr. Guba graduated from Indiana University Bloomington and Indiana University School of Dentistry. She is a licensed Dental Hygienist and licensed Dentist in the State of Indiana. Dr. Guba is also a member in good standing of the Indiana Dental Association, American Dental Association, Indiana District Dental Society, Indiana Academy of General Dentistry, Academy of Oral Medicine & Toxicology, American Academy of Cosmetic Dentistry, and is a Diplomat of the Academy of Pain Management. She is a certified Invisalign® Dentist. Accreditation by the International Academy of Oral Medicine and Toxicology certifies to the professional community and the general public that she has been trained and tested in the comprehensive application of biological dentistry, including current methods for safe removal of dental amalgam. 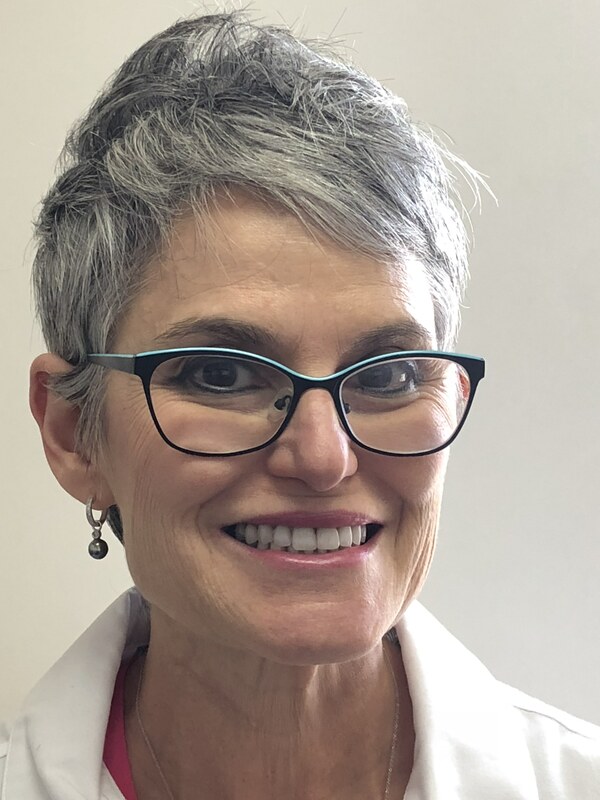 IAOMT accreditation establishes that Dr. Guba is at the forefront of biological dentistry and demonstrates her commitment to furthering her knowledge of dentistry’s undeniable role in systemic health. By furthering her education with IAOMT’s accreditation process, she has the necessary foundation to become a leader in biological dentistry, as she helps her patients with the most up-to-date and scientifically-based practices. Through extensive personal research and continuing studies, Dr. Caryn Guba has created a soothing and effective dental environment that encompasses wellness and treats the issues relating to oral health - all while promoting balance for your whole system. When completing all of the latest treatments for her patients at the highest level – veneers, dental implants, dentures, TMJ pain treatments, sleep apnea, safe mercury removal, and periodontal therapies – Dr. Guba puts emphasis on natural philosophies. Nutrition, herbal medicine, massage, homeopathy and others all play an integral role in our treatments, and are incorporated regularly in our variety of dental options. Dr. Caryn Guba is married to Dr. Philip Guba (retired endodontist) who has expanded his expertise to include a Law Degree. They are the parents of two lovely daughters, Kelsey and Taylor. Dr. Harris comes to us from the northwest side of Indianapolis, a graduate of North Central High School. He graduated from Indiana University School of Dentistry in 2008 practiced right here on the eastside of Indianapolis for 10 years. Dr. Harris is passionate about restoring smiles to full function and aesthetics, doing so in a way that promotes the health of the entire body. He brings his expertise in Invisalign and Oral Surgery and more importantly his passion for holistic/biologic dentistry. In his free time, Dr. Harris likes to focus on family and fitness. He is a huge soccer fan and is currently teaching his son Ben how to play. Ben’s skill level already exceeds his fathers— even though he has yet to walk! In the fall he and his family enjoy the occasional trip to Bloomington to watch IU football and tailgate. He looks forward to seeing all of you soon and we are confident you will find an amazing addition to Guba Dental. We are so lucky to have him join our mission.